We have reached the limit of registrations for this seminar. you may still register to express your interest and I will have you on waiting list for this one and let you know first of the next seminar being organized. Harness Dog Sports Seminar (classrooom) by Murielle Ovenden to be held at Kemptville Canine Center. Cost for the seminar will be $25 per person. I have been involved in Harness dog sports for over 10 years, mostly on the competition scene but also very much involved in the development of the sport in Canada and internationally. I represented Canada in 4 World Championships, team captain in 2016 dryland World Championships and 2017 Winter world Championships. I am passionate about the sport and love seeing new people develop a similar passion for dog harness sports, but mostly I love seeing more people discover the special relationship they can build with there dogs. From previous instruction experience I have found difficult to provide pertinent introduction information in a practical course and that a classroom seminar provides a much better “knowledge starting package”, as much for people completely new to harness dog sports as for people who have started and want to learn more. 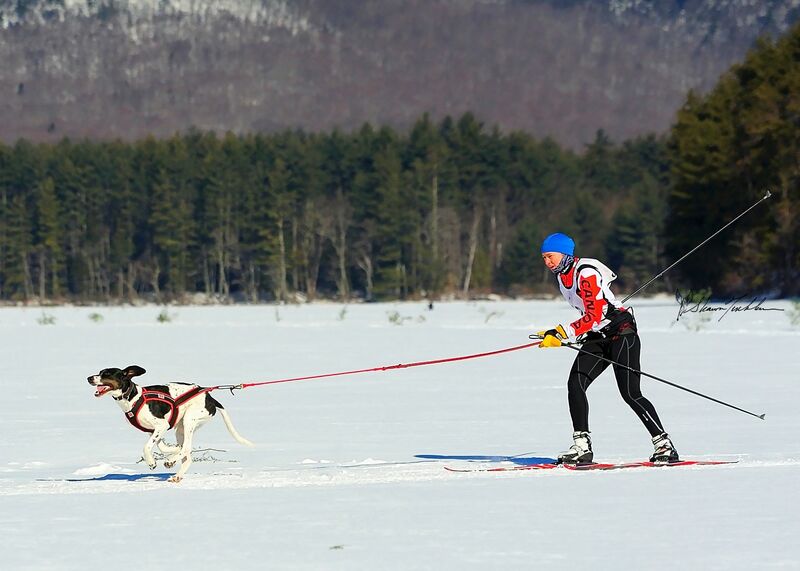 Harness dog sports comprise canicross, bikejoring, scootering, skijoring, kicksledding and dogsledding. I will be focusing on 1 and 2 dog teams for pet owners who want to get started with there family dog or are simply curious about harness dog sports. I will be covering an introduction to equipment, health and safety, training, dog driving and will welcome all questions. I will be limiting attendance to 12 participants.